Justina received funds from the RDP measure for setting up young farmers to establish her arable agricultural business. This measure has assisted over 2200 Lithuanian young farmers who between them will ensure a long-term supply of food producers. 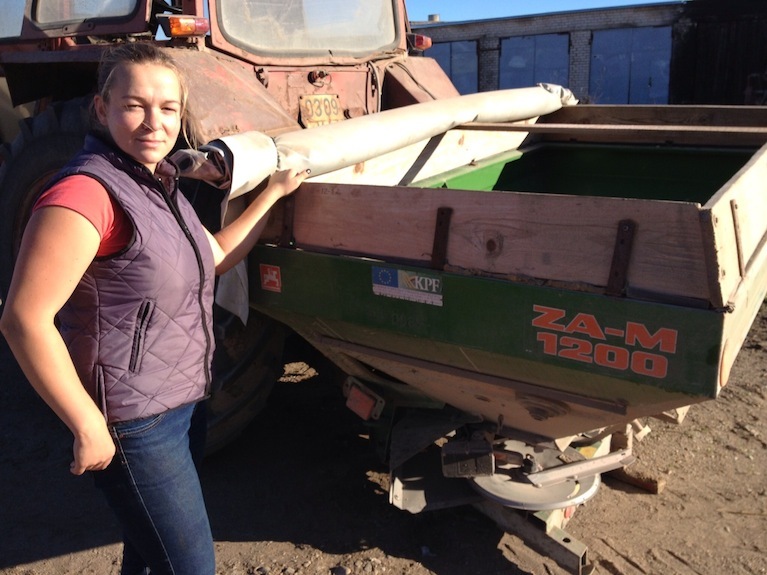 Justina Rudminaitė grew up on her family’s farm in the Ukmergė district of central Lithuania and she wanted to continue in her family’s footsteps by becoming a young farmer. She had access to land and some older equipment but, being an ambitious young person with a lot of ideas and aspirations for her business, she wanted to invest in modern machinery that could better help her to fulfil her business plans. The main objective of this project assistance from the RDP measure for setting up young farmers was to provide Justine with enough working capital to establish a viable farming business. She also planned to use the start-up funding as a way of helping her to demonstrate the profitability of her business in order to help her secure further RDP funding for additional equipment from the RDP measure supporting the modernisation of farm holdings. Justina used her start-up funding from the RDP to contribute to the costs of purchasing new equipment for growing arable crops. This included a mechanical sower, hydraulic cutter, equipment for spraying fertiliser, and machinery for grinding seeds. The new equipment offers business benefits that help Justine to run her farm more cost-effectively. She says, “It made it possible to carry out the work much faster and it requires much less effort. The equipment provides much better and more comfortable working conditions for the people using it. It also costs less for fuel and repairs. This gives better and more modern conditions for my farm and that allows me to compete with other farms, because I can do better quality work faster." RDP funding for setting up young farmers in business is important because it can ensure that Member States can continue to have people and knowhow in their agricultural sectors that are capable of producing food and other useful commodities. We also need young people to become farmers so that we have people in the countryside to look after the environment, and young farmers often have good ideas about new ways to improve the way we produce our food and look after the environment for the future.